When Tiffany Wu first entered the cannabis industry in March, she noticed that Asian Americans involved in the industry were few and far between — a trend the 28-year-old says was made even more apparent after she attended the Marijuana Business Conference and Expo one of the nation's largest cannabis trade shows attracting thousands of advocates and industry professionals, in Las Vegas in November. "I personally saw maybe less than 15 Asian Americans during my three days there," Wu, a San Francisco Bay Area business attorney specializing in the cannabis industry, told NBC News. 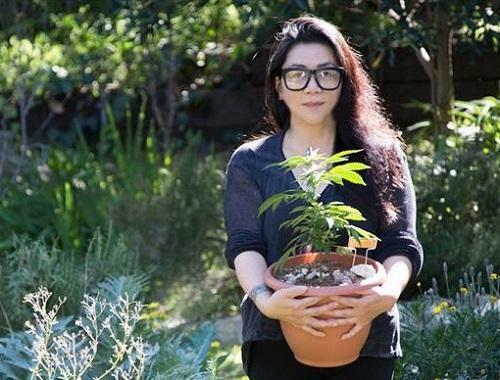 A quick Google search of the word "cannabis" juxtaposed with "Asian American" will also attest to this fact, explained Wu, a graduate of Harvard Law School as well as a member of the Cannabis Bar Association and the Bay Area chapter of Women Grow. But Wu says she's ready for the conversation around cannabis in the Asian-American community to change.